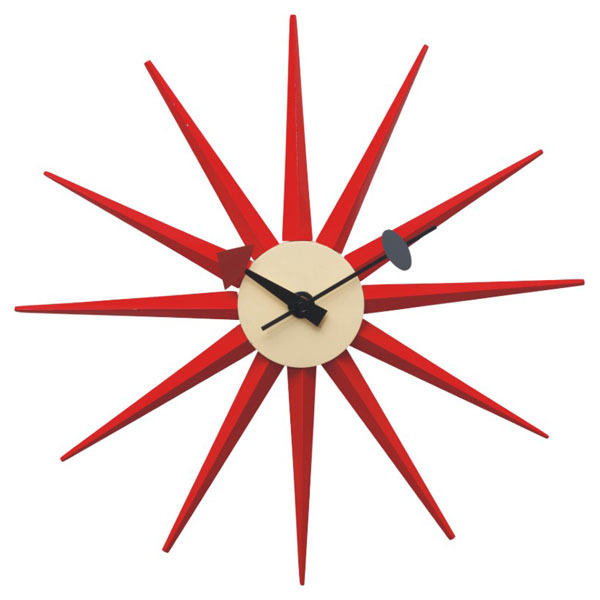 Wholesale replica modern design Nelson sunburst clock,home use wall clocks,used in living room,bedroom,office,there are multicolor,red,natural wood,etc. 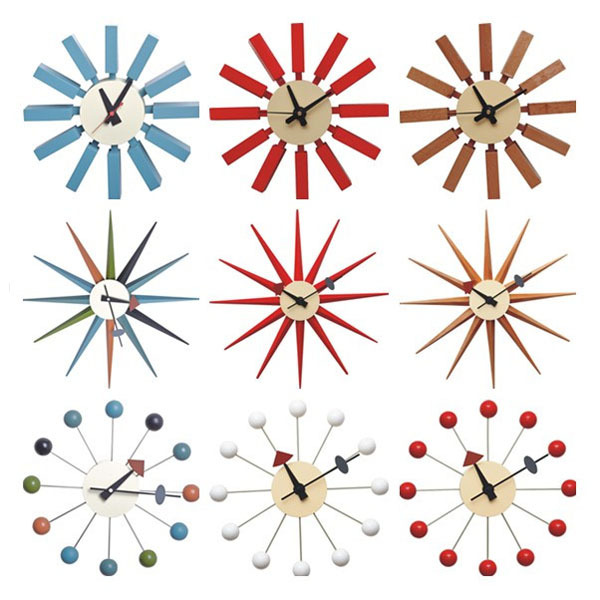 Wall clocks are the hot sale styles in LENY,as for the furnitures customers,they usually choose some fashionable small pieces to match their furnitures,and they also sell well in retailer’s stores. 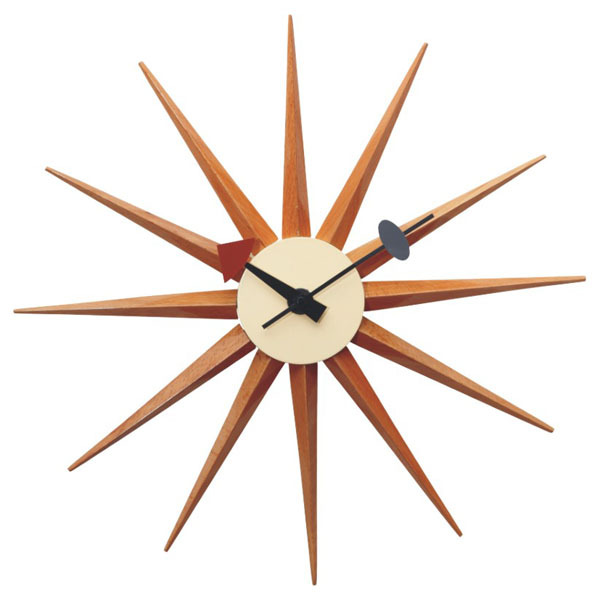 The Nelson Sunburst Clock is another popular style,which is made from solid wood with spinous shape,which looks like sunshine.It is drived by battery with silent movement. You will find the Nelson sunburst clock in living room,bedroom,office and other decoration with european modern design. 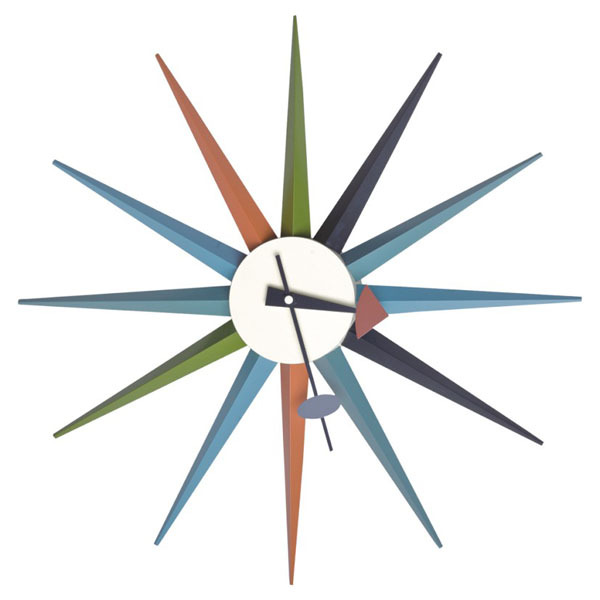 Take one to make your home warm and fashion!